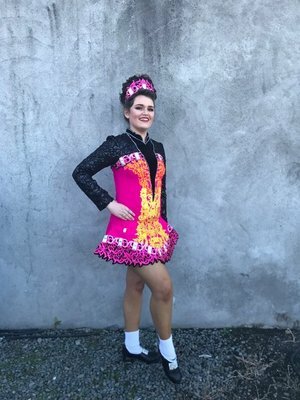 Well done to everyone who competed at the Claddagh Feis over the weekend! 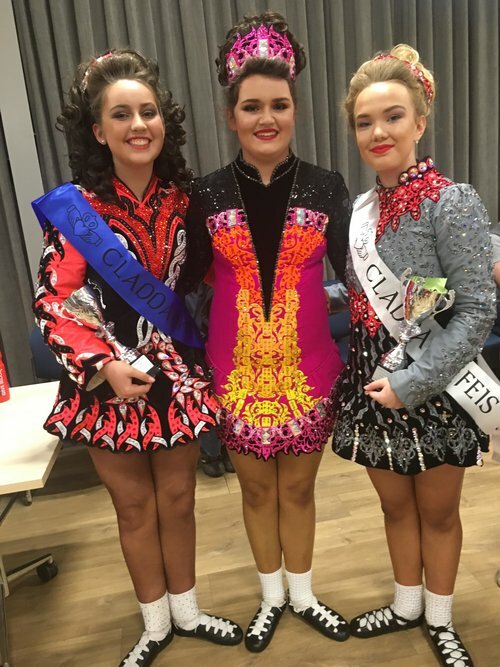 Have a look at our Claddagh Feis Photos page here. "Lucia and Sophia ended their day of dancing at the Claddagh by playing flight attendants and handing out the sweets to all the passengers on their flight back home to Wellington. They were each rewarded with a cup full of sweets themselves"
"I have been looking forward to this competition and hoping that my new dress would arrive in time for me to wear. My dress arrived on the Thursday before the competition in time for me to show it to my dance teacher Laura and my friends, they all of thought that it looked good on me and would look good on stage. My mum was very relieved that not only was it here but that it fitted perfectly. I was up early on Saturday to get ready for my trip I did my wig and makeup at home and then we left for the airport. I got my flight and my sister Rosemary, who is also one of my dance teachers met me at Christchurch airport, Vince had organised a taxi to the venue which was the Canterbury Caledonian Society, the competition was also held there last year. Once we had arrived there I put my things in the changing room and met up with my dancing friends who had been on a different flight than me. Then I went to go and get my number and my packed lunch that my dancing school had organised for each of us. I joined my friends who were going to be dancing at the same time as me and went into the auditorium and watched the younger age groups that were dancing after the morning results it was time for lunch, I had something to eat and then started to warm up, go through my dances and get ready as I was going on after lunch had finished. I was dancing in the 13-15yrs age group which included three of my friends from my dancing school Reel Jig Irish Dancers. Then it was time for me to get into my dress and line up I was number 11. The age group I was dancing in was a combined group of the people who are my age and a year older which means that we were doing a different first and second dance. The older dancers went first and then after they finished it was time for me to do my dances. After our first dance which was either a hornpipe or jig we all had to change shoes from our hard shoes to our soft shoes for our second dance which was a reel or slip jig, there were other age groups dancing in between our dances which gave us time to change our shoes. We changed back into our hard shoes for our last dance which is a set dance. I felt really good in my new dress and Rosemary told me that I smiled in all my dances. Once we had finished our last dance we got out of our dresses for a while and watched a little bit of the other dancers before it was time for our blind treble reel, which in this dance the judge has her back to the dancers and points are awarded purely on rhythm and timing. The final part of the day was presentations, and following this we changed out of our dresses, got all of our stuff ready and then everyone from my dance school that were still at the competition got together in the hall/warm up area and got on the shuttle back to the airport not long before our return flight back to Wellington. On our flight back one of the girls from my dance school got to hand out the lollies near the end of the flight which was cool. 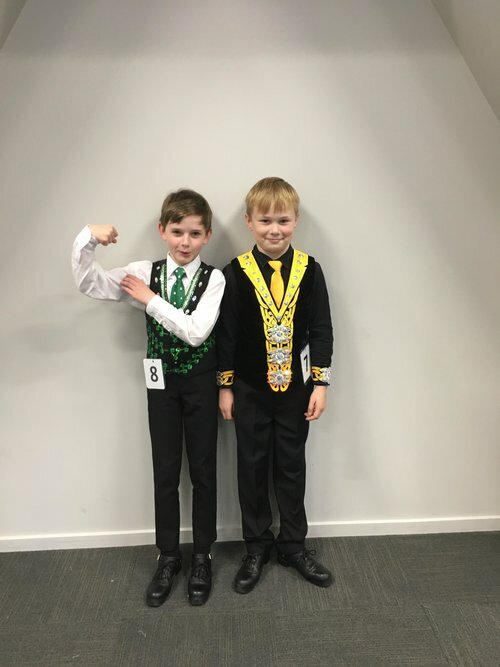 When we arrived back in Wellington we quickly touched base with everyone before we went home with our families who were there to pick us up after a long day at the competition in Christchurch." Thank you Air New Zealand and Jetstar! And a special thank you to Air Rescue Community Services for their generous assistance with our trip to Christchurch.